Under the Prevention of Damage by Pests Act (1949), it’s an offence to knowingly harbour rodents – UK Health and Safety guidelines recommend Pest Control methods to keep your business and your customers safe from rodent risks. Direct365 provide Intelligent Pest Management to ensure that rats, mice and moles don’t destroy your company’s property and reputation. Rodents are common pests and notoriously hard to locate, treat and prevent – that’s why specialised deterrent services are so important. At Direct365, we’ll assess your business’s situation and deliver an efficient solution, including skilled detection dogs, thermal imaging surveys, trapping, closing off access points, repellents and more. A pest intrusion can be hugely damaging to any type of business. Two rats can breed into hundreds in a matter of weeks; that’s hundreds of hosts of parasites with the potential of spreading pest-borne diseases. Professional Pest Control keeps employees safe from harmful pathogens, while also stopping expensive property damage. Remember, our service includes follow up visits timed around breeding cycles for optimum pest prevention. Call today for a free, instant quote. "Rats have excellent memory. Once they learn a road path, they will never forget it." Rats are long tailed rodents that love to live nearby to humans; they are burrowing animals and tend to live in underground areas, sewers, drains and near bins. They are highly adaptable creatures and can settle in just about anywhere with a steady supply of food and enough shelter. The Brown Rat is one of the most common species of rat in the UK and estimates state that there are over 10 million of them currently thriving in Britain. It's often said that you are never more than a few feet away from a rat wherever you are, and as a single pair of rats can produce up to 2,000 offspring in a single year, it's easy to see why that is! 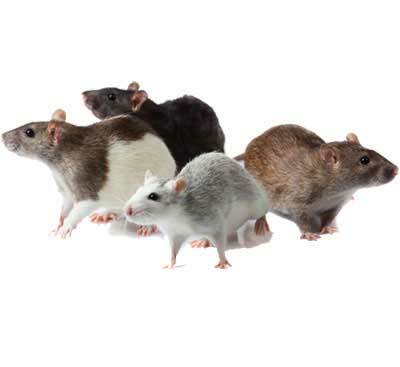 The technicians we work with are experts in ridding commercial businesses of rats and mice, and have been dealing with them for decades with the very best technology available. We use only the most innovative technology to find and control your rat problem. Typically the underside of a rat is soaked in urine, which means that they can spread all sorts of nasty diseases just by crawling around inside your premises. If they happen to end up in any food preparation or catering areas then it can cause a serious health risk to your customers and employees. Rats, like most rodents, are also a nightmare for chewing and gnawing on all kinds of surfaces, be it important wires/cables, desks, plastic surfaces and more. One ill-placed bite could bring down phone lines or cause fatal damage to important electronic systems. "It only takes 2-3 months for a newborn mouse to start breading!" It is a common misconception that mice are only a problem in the winter time; in truth mice are active and can infest your business all year round. Some of the most common species of mice found in businesses in the UK are field mice, house mice and yellow necked field mice. Mice vary in colour from white all the way through to black, they can jump up to 18” and will find their way into just about any building. As naturally inquisitive creatures, mice love to explore new areas to forage for food and shelter, often by burrowing inside walls, floorboards and furnishings. An unchecked mouse problem can lead to all sorts of issues for your business as just one sighting of a mouse could harm the reputation of your business and perturb customers from ever returning. Not only that, but mice are carriers of a multitude of diseases and can pose a serious health risk if they reach food preparation areas, making them a real threat to catering establishments. We work with experienced professionals who have some of the most advanced mice pest control techniques in the industry at their disposal, including thermal imaging technology, snake eye cameras and even sniffer dogs specially trained to detect the mice. This highly specialised equipment allows the technicians to safely catch and dispose of the pests in your property in the most effecient and discrete way. Wild mice are common carriers of disease which can be spread through their urine, saliva and droppings, usually when they are out foraging for food or building their nests. Diseases and viruses can be transmitted to humans through things as simple as contact with skin, breathing in allergens or by consuming contaminated substances. I have a domestic infestation can you help? The pest control services we offer are particularly suited to business and commercial premises. I have a mouse or rat problem; they can’t be so dangerous can they? Mice and rats pose a significant health risk to your visitors and employees. Just one rat or mouse can transmit disease to any part of your premises through its urine. An infestation is an emergency in our book, so we'll aim to get to you as soon as possible. How long will it take to get rid of my rats and mice? It depends on the degree of your infestation. It may take a few trips, but rest assured we will come back until they’re gone for no extra charge in many cases. How will you get rid of my rat or mouse infestation? Sometimes our pest control specialists have to go beyond hi-tech gear and equipment and seek out some more creative methods for eradicating pests. For those times when we come across a more difficult pest problem, our technicians turn to their secret weapon; man's best friend. Studies have shown that some mice are developing resistances to common methods of pest control, both chemically and behaviourally and some experts are labelling them as “Super Mice”. So as the mice have stepped up their game, so have we, by introducing a specially trained canine with a hyper sensitive nose for sniffing out pests. Sniffer dogs like Archie are the main focus of the C.A.R.E (Canine Assisted Rodent Eradication) program that our engineers use for more stubborn infestations. Archie has been trained to track down exactly where mice both enter and exit a building, as well as high traffic areas that the mice have been using. When Archie has found a place where mice have been roaming around, he will sit still and point his nose at the exact area the mice have been using. This means that Archie actually does a lot of the work for our human pest controllers, who can then accurately place traps and pesticides in the exact places they need to be, resulting in a quicker, more reliable solution to your pest problem.